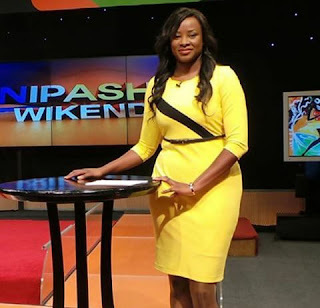 Many of us did not know that the queen anchor of Swahili news was ailing until yesterday when she opened up and stated that she was discharged from Hospital. She had earlier been admitted to the Marter Hospital where she spent a couple of days while receiving treatment. Facts about Kanze Dena’s illness have not yet been disclosed, all we can do is to pray for her since she is already getting well. "So greatful to God am going home today..shukrani zangu to the medics @materhospital .. #greatfulforgoodhealth . Thank you papa", Kanze wrote. Her friend and co-news anchor, Lulu Hassan was pleased with the fact that her (Kanze) health was getting better.